Home Out Of Office Ready, steady, go green! Increased concern about air quality and fuel prices are just two reasons why there are now more than 170,000 plug-in vehicles on the UK roads. And as part of the government’s first ever Green GB Week, a special electric vehicle (EV) motorshow landed in Nottingham on Tuesday (16 October), giving local businesses and the public a chance to interact with a selection of the most advanced, environmentally friendly and cost-effective models. As part of the BEIS campaign, a brand new Electric Vehicle (EV) Roadshow toured the country, visiting Nottingham’s Old Market Square. Showcasing the latest in electric and plug-in vehicle technology to local businesses and consumers, residents learned more about the world’s leading models. 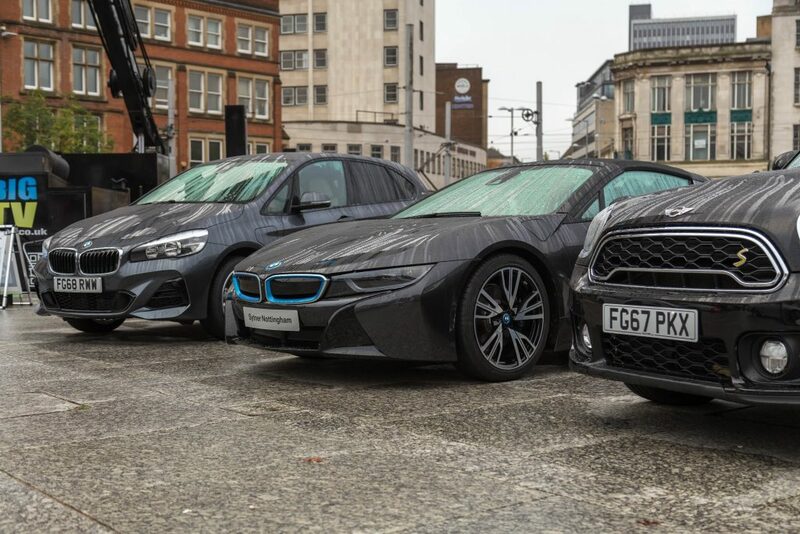 The Market Square was transformed into a ‘Mini Motorshow’, with test drive opportunities allowing the public to experience the technology first-hand. The top EV manufacturers were present, including Jaguar, BMW, Hyundai, Mini, LDV, Renault, Kia, Lexus, Mercedes-Benz, Tesla, Toyota and Volvo. 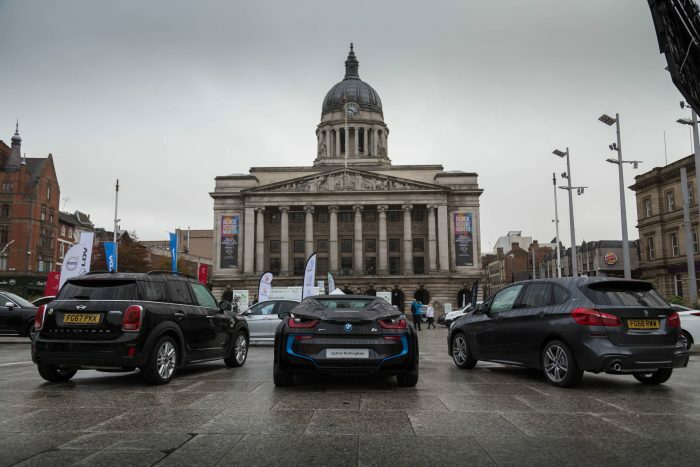 In addition to the public Motorshow, Nottingham City County Council will also educated the city’s businesses on the benefits of switching their fleets to EVs through an exclusive seminar at Nottingham Council House. Cllr David Liversidge, Portfolio Holder for Transport, said: “In Nottingham we’ve been committed to improving air quality for many years, investing in low emission public transport, such as electric trams and gas-powered buses, and cycling infrastructure, making it easier for people to choose less polluting forms of travel.